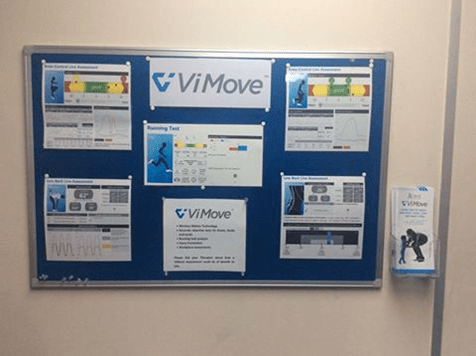 The first time I saw the ViMove was November 2015 at a conference – I was amazed, it was clear that this was a fantastic piece of equipment; and to be honest I wanted one there and then. Having worked with elite athletes in the past the information this system provides is exactly what I had wanted… but more accurate and packaged up in a very easy to read, easy to understand and easy to deliver format. However being a cautious sole I went away and did my research fully expecting the information not to be there, it was and not even the boffins at Oxford university medical research department could refute it, in fact they loved it. 1: will this be of benefit to my patients? The answer to the first question is absolutely 100% this is of benefit to my patients. It allows them to see how they are moving (or not) and allows them to track their progress. Patients and refers alike love the reports and feel it adds real value to their patient journey. The Running gait analysis has been particularly well received by a number of local running clubs and sports teams. 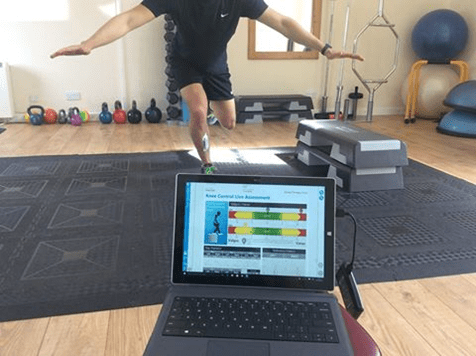 As a clinician I am able to be significantly more specific in my exercise prescription and documentation – how else can you accurately measure knee valgus on hopping? Now for question 2 – The ViMove is undoubtedly a significant investment for any business however my system has generated over £1500 in ADDITIONAL revenue in 3 months, this does not include the additional spend that every ViMove customer has spent in the clinic on further appointments. The ViMove has also allowed me to expand into other areas of industry such as workplace assessments that I would not have previously considered. In summary anyone who is considering investing in a ViMove my advice – “do it, do it now” you won’t regret it – your patients will benefit, you will benefit and your practice will benefit.